PDXpert has had the best technical support of any software I have dealt with before. 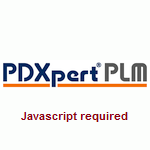 I wish all our software at our company was like PDXpert. Josiah Rickerd, IT Coordinator, Sealevel Systems, Inc.